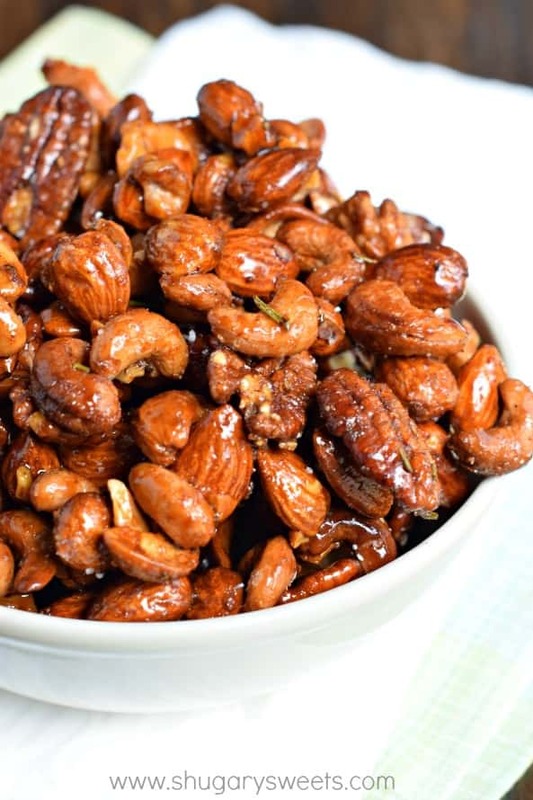 Rosemary Chipotle Roasted Nuts: a sweet and spicy snack mix recipe! I’ve been trying to write this post for over a month. But every time I attempt it, things go in the gutter. You see, this summer a group of our friends, along with my husband and I, we did something fun and different one day. We did an excursion complete with a river, some tubes, a few alcoholic beverages, and these nuts. Seriously you guys. We’re a bunch of 40yr olds acting like we are 21 and having the best summer day ever. 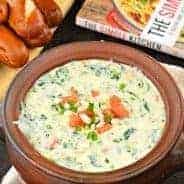 So at the end of the trip, I decided I was going to make the recipe and share it here on the blog. 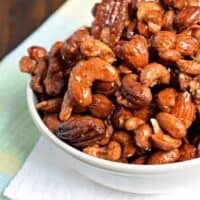 Only, I couldn’t call it “Tom’s Nuts.” Because let’s face it, I’ve already used that phrase enough in one blog post, I don’t need the Google search engines categorizing my site as some x-rated recipe blog thanks to these nuts! So I gave them a long boring name instead. And I really, really hope you try this recipe. 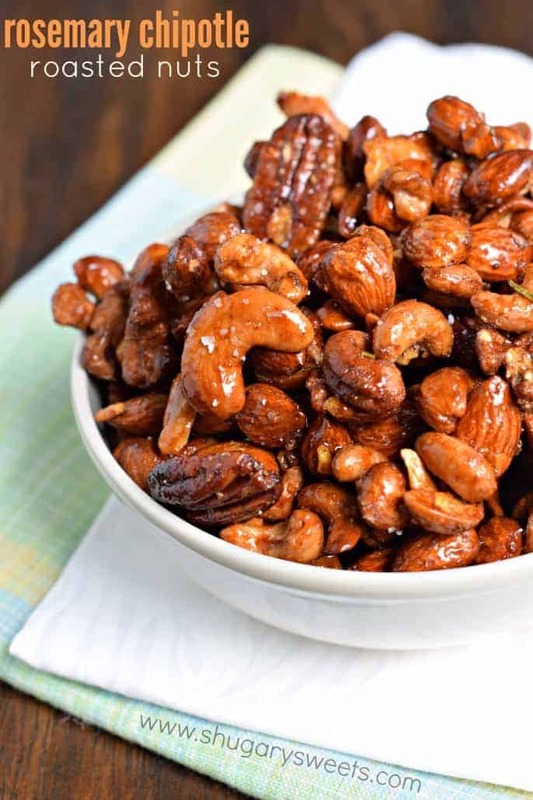 The sweet brown sugar with the salty nuts and spicy chipotle is an amazing combination of flavors. These would be a great holiday gift in a mason jar with a ribbon! Or Valentine’s day “I’m nuts about you.” ENJOY! Another great snack would be this Homemade Caramel Corn recipe! 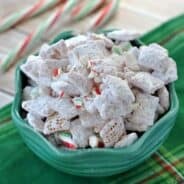 Sweet and addicting, you’ll want to whip up a batch today! Preheat oven to 350°F. Line a 15x10x1-inch baking sheet with parchment paper. Set aside. 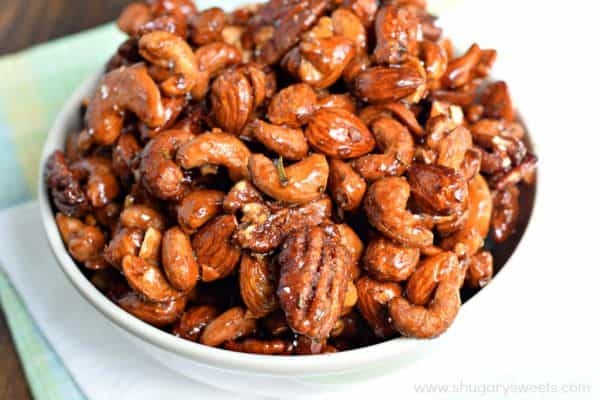 In a large bowl, combine the nuts with the agave nectar, sugar, orange juice, chipotle powder, rosemary and salt. 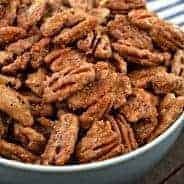 Spread the nuts onto the baking sheet, and cook in the oven for 30 minutes, removing every ten minutes to stir and flip the nuts on the pan. Remove from oven and cool. Stirring occasionally to separate them slightly from each other. Store in a an airtight container at room temperature for up to a week. ENJOY. I love the fact that my 16 year-old sense of humor is still alive and well. By all means, enjoy that about what you named these! Age is a number only, ya know. And these look incredible. Can’t wait to try! I can already tell these are going to be an addictive snack!! These looks so delicious! My kind of snacking! Hahaha! With two teenage boys in the house, stuff like that gets said all the time around here! 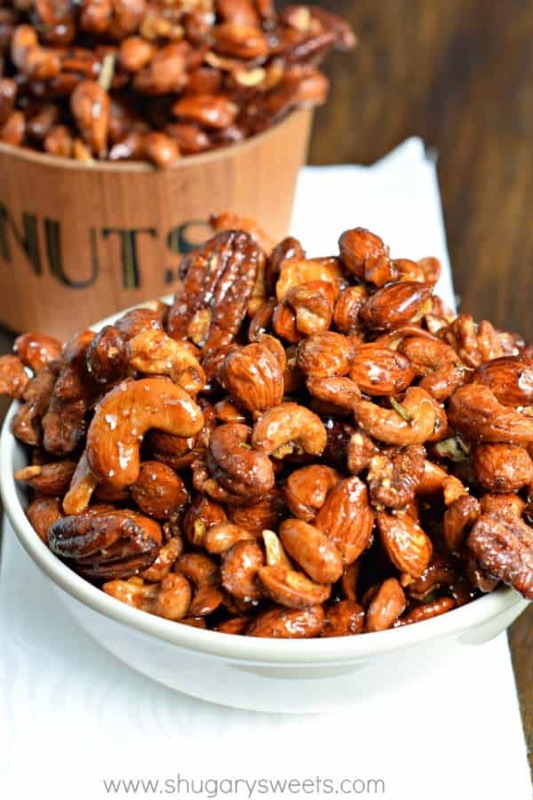 Those nuts look like they would be so addictive!!! Ha too funny, they do look delicious!